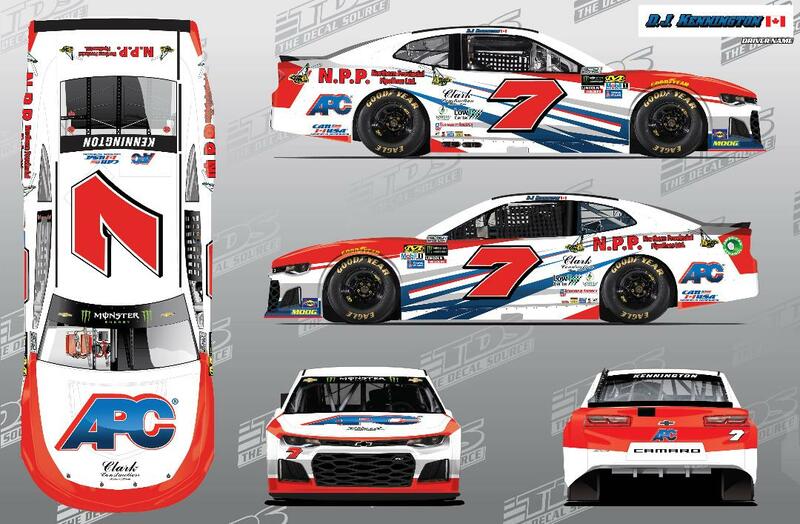 DJ Kennington will return once again to pilot the Premium Motorsports #7 Chevrolet along with returning primary sponsor, APC in Sunday’s Monster Energy NASCAR Cup Series, ‘Can-Am 500’ at the newly reconfigured ISM Raceway. Also joining Kennington this weekend is Northern Provincial Pipelines (NPP), based in Edson-Alberta Canada and owned by Dwight Kennedy. NPP has been a long time sponsor for Kennington throughout his career. Kennington will also compete for the team in the #49 Sobriety Nation, Chevy Silverado in the NASCAR Camping World Truck Series ‘Lucas Oil 150′ on Friday night. “I’m really curious to see how the new track at ISM Raceway is going to be. I’ve always loved racing in Phoenix. It’s one of my most favorite tracks on the NASCAR circuit so I’m hoping I’ll still be able to say that once this weekend is over (laughs). It looks pretty sporty so I’m excited to get out on there on track and see how it feels and how my truck and cup car will handle out there.